Our Business Model Allows Us to Provide. Quality Homes, Built with the Best & Latest Materials. The Exact Home the Customer Desires. Custom Homes Built with Care! With over 30 years of hands on experience and a focus on customer care, we guide you from concept to the time you move into your New Custom Home. By listening to your ideas we will be able to produce detailed specifications of the materials that will be in your new home. 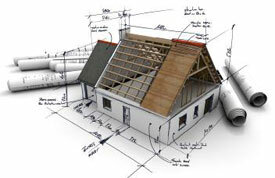 Once we have a set of drawings we will be able to estimate your home build. We coordinate all professionals and bring an experienced team together that we trust to make your dream a reality. A business model that works! A package deal that cannot be matched! Call 905-377-5722 for a consultation. It all starts with a floor plan!